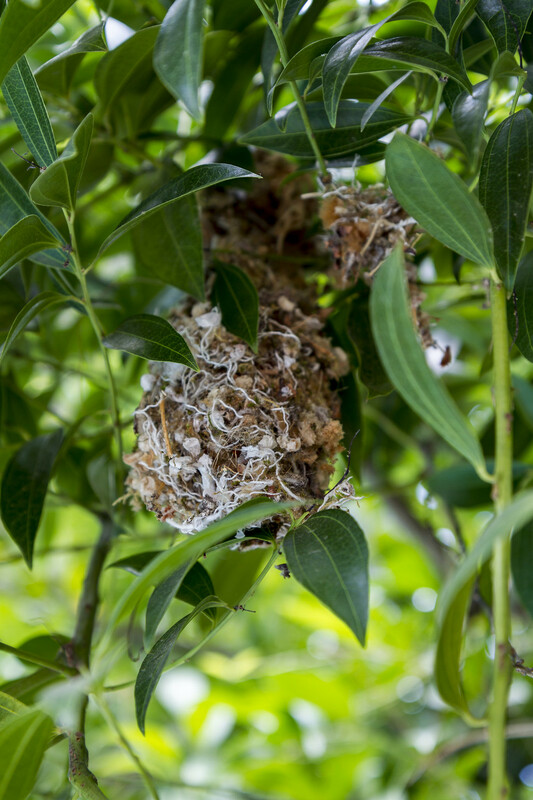 Today as I was working in my yard, I spotted an unusual bird's nest in my tree. Birds' nests are always a wonder to me. This one is made up of a little of this and a little of that. And, somehow all those pieces of thread, sticks, and heaven knows what else have been woven into this safe little sac-like home suspended from branches in my tree. 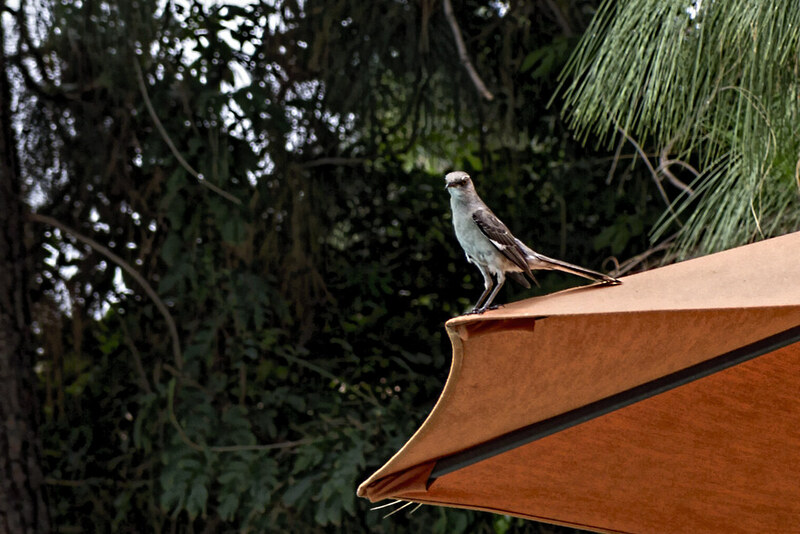 As I was snooping, I looked over and realized there was a little bird sitting on the edge of my umbrella watching me peek through the branches of the tree. All of a sudden I felt a little like I was intruding. Maybe it was her nest? I never found out, but on the chance it was hers, I climbed down and walked away. "may my heart always be open to little birds who are the secrets of living"